Dr. Vienna is a materials scientist with 25 years of experience in nuclear waste form development, processing, and testing. His experience includes serving as the national technical advisor to the Department of Energy's Offices of Environmental Management and Nuclear Energy on waste form and immobilization science. 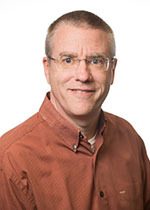 John is a Chief Scientist in the Materials Science Team of PNNL’s Nuclear Sciences Division. His research has led to more than 270 technical publications (including 34 journal articles, 6 books and book chapters, 100 proceedings articles, and 130 technical reports). He is an adjunct faculty member in the Chemistry Department at Washington State University where he teaches graduate courses in nuclear waste glass chemistry from 1999 to present. U.S. Patent No. 6,532,769, March 18, 2003, "Glass-Ceramic Joint And Method Of Joining ". U.S. Patent No. 6,430,966, August 13, 2002, "Glass-Ceramic Material And Method Of Making* ". Gervasio V., J.D. Vienna, D. Kim, and A.A. Kruger. 2018. Impacts of Process and Prediction Uncertainties on Projected Hanford Waste Glass Amount. PNNL-26996; EWG-RPT-015, Rev 0.0. Richland, WA: Pacific Northwest National Laboratory. Riley B.J., and J.D. Vienna. 2017. Glass Transition Temperature- and Specific Volume- Composition Models for Tellurite Glasses. PNNL-26760. Richland, WA: Pacific Northwest National Laboratory. Russell R.L., T. Jin, B.P. McCarthy, L.P. Darnell, D.E. Rinehart, C.C. Bonham, and V. Gervasio, et al. 2017. Enhanced Hanford Low-Activity Waste Glass Property Data Development: Phase 1. PNNL-26630 Rev 0. Richland, WA: Pacific Northwest National Laboratory. Vienna J.D., M.J. Schweiger, C.C. Bonham, J.B. Lang, B.P. McCarthy, Y.S. Chou, and S.K. Cooley, et al. 2016. "Development of High Alumina Glass Property Data for Hanford High-Level Waste Glass Models - 16231." In Waste Management 2016 (WM 2016): Education & Opportunity in Waste Management, March 6-10, 2016, Phoenix, Arizona, 2, 994-1003. Phoenix, Arizona:WM Symposia. PNNL-SA-115610. Vienna J.D., T.A. Todd, and K.D. Gray. 2016. "Waste Management Approach for a Potential Future U.S. Closed Fuel Cycle - 16233." In Waste Management 2016 (WM 2016): Education & Opportunity in Waste Management, March 6-10, 2016, Phoenix, Arizona, 8, 5810-5822. Phoenix, Arizona:WM Symposia. PNNL-SA-114851. Peeler D.K., D. Kim, J.D. Vienna, M.J. Schweiger, and G.F. Piepel. 2015. Office of River Protection Advanced Low-Activity Waste Glass Research and Development Plan. PNNL-24883; EWG-RPT-008. Richland, WA: Pacific Northwest National Laboratory. Peeler D.K., J.D. Vienna, M.J. Schweiger, K.M. Fox, and K.M. Fox. 2015. Advanced High-Level Waste Glass Research and Development Plan. PNNL-24450. Richland, WA: Pacific Northwest National Laboratory. Piepel G.F., S.K. Cooley, J.D. Vienna, and J.V. Crum. 2015. Experimental Design for Hanford Low-Activity Waste Glasses with High Waste Loading. PNNL-24391; EWG-RPT-006, Rev. 0. Richland, WA: Pacific Northwest National Laboratory. Matyas J., J.D. Vienna, D. Peeler, K. Fox, C. Herman, and A.A. Kruger. 2014. Road Map for Development of Crystal-Tolerant High Level Waste Glasses. PNNL-23363. Richland, WA: Pacific Northwest National Laboratory. Smith G.L., D. Kim, M.J. Schweiger, J.C. Marra, J.B. Lang, J.V. Crum, and C.L. Crawford, et al. 2014. Silicate Based Glass Formulations for Immobilization of U.S. Defense Wastes Using Cold Crucible Induction Melters. PNNL-23288; EMSP-RPT-021. Richland, WA: Pacific Northwest National Laboratory. Herman C.C., D.J. Adamson, D.T. Herman, D.K. Peeler, M.R. Poirier, S.H. Reboul, and M.E. Stone, et al. 2013. Preliminary Assessment of the Hanford Tank Waste Feed Acceptance and Product Qualification Programs. PNNL-22116. Richland, WA: Pacific Northwest National Laboratory. Nash K.L., G.J. Lumetta, and J.D. Vienna. 2013. "Irradiated Nuclear Fuel Management: Resource Versus Waste." In Radioactive Waste Management and Contaminated Site Clean-Up: Processes, Technologies and International Experience. Woodhead Publishing Series in Energy, edited by WE Lee, MI Ojovan and CM Jantzen. 145-170. Philadelphia, Pennsylvania:Woodhead Publishing. PNNL-SA-91034. Vienna J.D., D. Kim, D.C. Skorski, and J. Matyas. 2013. Glass Property Models and Constraints for Estimating the Glass to be Produced at Hanford by Implementing Current Advanced Glass Formulation Efforts. PNNL-22631 Rev.1; ORP-58289. Richland, WA: Pacific Northwest National Laboratory. Crum J.V., C.P. Rodriguez, J.S. McCloy, J.D. Vienna, and C. Chung. 2012. Glass Ceramic Formulation Data Package. PNNL-21471. Richland, WA: Pacific Northwest National Laboratory. Crum J.V., T.B. Edwards, R.L. Russell, P.J. Workman, M.J. Schweiger, R.F. Schumacher, and D.E. Smith, et al. 2012. "DWPF STARTUP FRIT VISCOSITY MEASUREMENT ROUND ROBIN RESULTS." Journal of the American Ceramic Society 95, no. 7:2196-2205. PNNL-SA-78315. Day D.E., R.K. Brow, C.S. Ray, C. Kim, S.T. Reis, J.D. Vienna, and D.K. Peeler, et al. 2012. "Iron Phosphate Glass for Vitrifying Hanford AZ102 LAW in Joule Heated and Cold Crucible Induction Melters." In WM2012: Improving the Future in Waste Management February 25- March 1, 2012, Phoenix, Arizona, Paper No. 12240. Tempe, Arizona:WM Symposia. PNNL-SA-84941. Matyas J., A.R. Huckleberry, C.P. Rodriguez, J.D. Vienna, and A.A. Kruger. 2012. "EMPIRICAL MODEL FOR FORMULATION OF CRYSTAL-TOLERANT HLW GLASSES." In Advances in Materials Science for Environmental and Energy Technologies: Ceramic Transactions, edited by T Ohji, et al. Hoboken, New Jersey:John Wiley & Sons, Inc. PNNL-SA-83235. Ryan J.V., W.L. Ebert, J.P. Icenhower, D.K. Schreiber, D.M. Strachan, and J.D. Vienna. 2012. "Joint EM-NE-International Study of Glass Behavior over Geologic Time Scales." In Waste Management Symposium (WM 2012): Improving the Future of Waste Management, February 26 - March 1, 2012, Phoenix, Arizona, Paper No. 121303. Tucson, Arizona:Waste Management Symposia, Inc. PNNL-SA-84912. Vienna J.D., J.V. Crum, G.J. Sevigny, and G.L. Smith. 2012. Preliminary Technology Maturation Plan for Immobilization of High-Level Waste in Glass Ceramics. PNNL-21714. Richland, WA: Pacific Northwest National Laboratory. Vienna J.D., T.A. Todd, and M.E. Peterson. 2012. SEPARATIONS AND WASTE FORMS CAMPAIGN IMPLEMENTATION PLAN. PNNL-21453. Richland, WA: Pacific Northwest National Laboratory. Han A.M., A.M. Han, Y. Collazo, G.S. Chamberlain, S.P. Schneider, K.D. Gerdes, and G. DeLeon, et al. 2011. "The US DOE Office of Environmental Management International Program Collaboration - 11526." In 37th Annual Radioactive Waste Management Symposium (WM 2011): Global Achievements and Challenges in Waste Management, February 27-March 3, 2011, Phoenix, Arizona. Tucson, Arizona:WM Symposia. PNNL-SA-77925. Kim D., M.J. Schweiger, C.P. Rodriguez, W.C. Lepry, J.B. Lang, J.V. Crum, and J.D. Vienna, et al. 2011. Formulation and Characterization of Waste Glasses with Varying Processing Temperature. PNNL-20774. Richland, WA: Pacific Northwest National Laboratory. Kim D., M.J. Schweiger, J.D. Vienna, F. Johnson, J.C. Marra, D.K. Peeler, and G.L. Smith. 2011. "Glass Formulation for Next Generation Cold Crucible Induction Melter." In WM2011: Proceedings of the 37th Annual Radioactive Waste Management Symposium: Global Achievements and Challenges in Waste Management, February 27-March 3, 2011, Phoenix, Arizona, Paper No. 11561. Tucson, Arizona:Waste Management Symposia Inc. PNNL-SA-76831. Matyas J., M.J. Schaible, and J.D. Vienna. 2011. "DETERMINATION OF STOKES SHAPE FACTOR FOR SINGLE PARTICLES AND AGGLOMERATES." In Advances in Materials Science for Environmental and Nuclear Technology II: Papers from Symosia held at the Materials Science & Technology Conference and Exhibition (MS&T 2010), October 17-21, 2010, Houston, Texas. Ceramic Transactions, edited by SK Sundaram, T Ohji, K Fox and E Hoffman, 227, 195-203. Hoboken, New Jersey:Wiley. PNNL-SA-75367. Schweiger M.J., B.J. Riley, J.V. Crum, P.R. Hrma, C.P. Rodriguez, B.M. Arrigoni, and J.B. Lang, et al. 2011. Expanded High-Level Waste Glass Property Data Development: Phase I. PNNL-17950. Richland, WA: Pacific Northwest National Laboratory. Marra J.C., K.M. Fox, K.M. Fox, G.T. Jannik, G.T. Jannik, E.B. Farfan, and D. Kim, et al. 2010. "The DOE Office of Environmental Management International Collaboration Program Overview: Interactions, Agreements, and Future Direction." In Waste Management 2010 (WM 2010): HLW, TRU, LLW/ILW, Mixed, Hazardous Wastes & Environmental Management, March 7-11, 2010, Phoenix, Arizona. Phoenix, Arizona:WM Symposia. PNNL-SA-70792. Marra J.C., K.M. Fox, K.M. Fox, G.T. Jannik, G.T. Jannik, E.B. Farfan, and D. Kim, et al. 2010. "The DOE Office of Environmental Management International Cooperative Program: Overview of Technical Tasks and Results." In Waste Management 2010 (WM 2010): HLW, TRU, LLW/ILW, Mixed, Hazardous Wastes & Environmental Management, March 7-11, 2010, Phoenix, Arizona. Phoenix, Arizona:WM Symposia. PNNL-SA-70461. Matyas J., J.D. Vienna, A. Kimura, M.J. Schaible, and R.M. Tate. 2010. "DEVELOPMENT OF CRYSTAL-TOLERANT WASTE GLASSES." In Advances in Materials Science for Environmental and Nuclear Technology: Ceramic Transactions, edited by K Fox, E Hoffman, N Manjooran and G Pickrell. 41-51. Hoboken, New Jersey:John Wiley & Sons, Inc. PNNL-SA-69228. Matyas J., J.D. Vienna, M.J. Schaible, C.P. Rodriguez, J.V. Crum, A.L. Arrigoni, and R.M. Tate. 2010. Development of Crystal-Tolerant High-Level Waste Glasses. PNNL-20072. Richland, WA: Pacific Northwest National Laboratory. McCloy J.S., and J.D. Vienna. 2010. Glass Composition Constraint Recommendations for Use in Life-Cycle Mission Modeling. PNNL-19372. Richland, WA: Pacific Northwest National Laboratory. McCloy J.S., C.P. Rodriguez, C.F. Windisch, C.J. Leslie, M.J. Schweiger, B.J. Riley, and J.D. Vienna. 2010. "ALKALI/ AKALINE-EARTH CONTENT EFFECTS ON PROPERTIES OF HIGH-ALUMINA NUCLEAR WASTE GLASSES." In Advances in Materials Science for Environmental and Nuclear Technology: Ceramic Transactions, edited by K Fox, E Hoffman, N Manjooran and G Pickrell, 222, 63-76. Hoboken, New Jersey:Wiley. PNNL-SA-68731. Riley B.J., B.T. Rieck, J.V. Crum, J. Matyas, J.S. McCloy, S.K. Sundaram, and J.D. Vienna. 2010. Alternative Electrochemical Salt Waste Forms, Summary of FY2010 Results. PNNL-19690. Richland, WA: Pacific Northwest National Laboratory. Vienna J.D. 2010. "Nuclear Waste Vitrification in the U.S.: Recent Developments and Future Options." International Journal of Applied Glass Science. PNNL-SA-72123. Bredt P.R., A.R. Felmy, P.A. Gauglitz, A.P. Poloski, J.D. Vienna, B.A. Moyer, and D. Hobbs, et al. 2009. "Scientific Opportunities to Reduce Risk in Nuclear Process Science - 9279." In Waste Management '09: Waste Management for the Nuclear Renaissance, 3, 1482-1495. Tucson, Arizona:WM Symposia. PNNL-SA-63507. Bredt P.R., A.R. Felmy, P.A. Gauglitz, A.P. Poloski, J.D. Vienna, B.A. Moyer, and D. Hobbs, et al. 2009. "Scientific Opportunities to Reduce Risk in Nuclear Process Science." In Waste Management 2009. Tucson, Arizona:Arizona Board of Regents. PNNL-SA-62093. Crum J.V., A.Y. Billings, J.B. Lang, J.C. Marra, C.P. Rodriguez, J.V. Ryan, and J.D. Vienna. 2009. Baseline Glass Development for Combined Fission Products Waste Streams. PNNL-18524. Richland, WA: Pacific Northwest National Laboratory. Crum J.V., S.K. Sundaram, B.J. Riley, J. Matyas, S.A. Arreguin, and J.D. Vienna. 2009. Alternative Waste Forms for Electro-Chemical Salt Waste. PNNL-18930. Richland, WA: Pacific Northwest National Laboratory. Gerdes K.D., A.M. Han, A.M. Han, J.C. Marra, K.M. Fox, K.M. Fox, and D.K. Peeler, et al. 2009. "The DOE Office of Environmental Management International Cooperative Program: Current Status and Plans for Expansion." In Waste Management 2009: Waste Management for the Nuclear Renaissance, March 1-5, 2009, Phoenix, Arizona, Paper No. 9203. Tucson, Arizona:Arizona Board of Regents. PNNL-SA-64177. Riley B.J., J.V. Crum, W.C. Buchmiller, B.T. Rieck, M.J. Schweiger, and J.D. Vienna. 2009. Initial Laboratory-Scale Melter Test Results for Combined Fission Product Waste. PNNL-18781. Richland, WA: Pacific Northwest National Laboratory. Vienna J.D., A. Fluegel, D. Kim, and P.R. Hrma. 2009. Glass Property Data and Models for Estimating High-Level Waste Glass Volume. PNNL-18501. Richland, WA: Pacific Northwest National Laboratory. Bredt P.R., A.R. Felmy, P.A. Gauglitz, D.T. Hobbs, S. Krahn, N. Machara, and M. Mcilwain, et al. 2008. Scientific Opportunities to Reduce Risk in Nuclear Process Science. PNNL-17699. Richland, WA: Pacific Northwest National Laboratory. Kim D., J.D. Vienna, D.K. Peeler, K.M. Fox, K.M. Fox, A.S. Aloy, and A.V. Trofimenko, et al. 2008. "Improved Alumina Loading in High-Level Waste Glasses." In WM2008 Conference: Phoenix Rising: Moving Forward in Waste Management, Paper No. 8460. Phoenix, Arizona:WM Symposia. PNNL-SA-58490. Gerdes K.D., J.R. Harbour, J.C. Marra, D.K. Peeler, T.B. Calloway, J. Roach, and J.D. Vienna, et al. 2007. "THE U.S. DEPARTMENT OF ENERGY-OFFICE OF ENVIRONMENTAL MANAGEMENT'S INTERNATIONAL PROGRAM." In 2007 Waste Management Symposium Proceedings: Global Accomplishments in Environmental and Radioactive Waste Management: Education and Opportunity for the Next Generation of Waste Management Professionals, February 25 - March 1, 2007, Tucson, Arizona. Tucson, Arizona:WM Symposia. PNNL-16421. Aloy A.S., R.A. Soshnikov, A.V. Trofimenko, J.D. Vienna, M.L. Elliott, and E.W. Holtzscheiter. 2006. "Improved Loading of Sulfate-Limited Waste in Glass." In Waste Management 2006: Global Accomplishments in Environmental and Radioactive Waste Management: Education and Opportunity for the Next Generation of Waste Management Professionals. Tucson, Arizona:Arizona Board of Regents. PNNL-SA-48798. Hrma P.R., J.D. Vienna, B.K. Wilson, T.J. Plaisted, and S.M. Heald. 2006. "Chromium Phase Behavior in a Multi-Component Borosilicate Glass Melt." Journal of Non-crystalline Solids 352, no. 21-22:2114-2122. PNNL-SA-46889. Ojovan M.I., W. Lee, A. Barinov, I.V. Startsceva, D.H. Bacon, B.P. McGrail, and J.D. Vienna. 2006. "Corrosion of low level vitrified radioactive waste in a loamy soil." Glass Technology 47, no. 2:48-55. PNNL-SA-52653. Rapko B.M., J.G. Geeting, S.I. Sinkov, and J.D. Vienna. 2006. "Oxidative-Alkaline Leaching of Washed 241-SY-102 and 241-SX-101 Tank Sludges and Its Impact on Immobilized High-Level Waste." Separation Science and Technology 41, no. 10:2245-2265. PNWD-SA-7160. Hrma P.R., D. Kim, J.D. Vienna, J. Matyas, D.E. Smith, M.J. Schweiger, and J.D. Yeager. 2005. Testing of Large-Scale ICV Glasses with Hanford LAW Simulant. PNNL-15107. Richland, WA: Pacific Northwest National Laboratory. Hrma P.R., J.D. Vienna, and J.S. Ricklefs. 2005. "Mechanism of sulfate segregation during glass melting." In Scientific Basis for Nuclear Waste Management XXVI: 2002 Fall Meeting Proceedings, 757, Paper no. II5.5. Warrendale, Pennsylvania:Materials Research Society. PNNL-SA-44215. Mahoney L.A., and J.D. Vienna. 2005. Feed Variability and Bulk Vitrification Glass Performance Assessment. PNNL-14985 Rev.0. Richland, WA: Pacific Northwest National Laboratory. Vienna J.D., T.B. Edwards, J.V. Crum, D. Kim, and D.K. Peeler. 2005. "LIQUIDUS TEMPERATURE AND ONE PERCENT CRYSTAL CONTENT MODELS FOR INITIAL HANFORD HLW GLASSES." In Environmental Issues and Waste Management Technologies in the Ceramic and Nuclear Industries X, (also referenced as Ceramic Transactions Vol. 168), 10, 133-140. Westerville, Ohio:American Ceramic Society. PNWD-SA-6609. Hrma P.R., J.D. Vienna, W.C. Buchmiller, and J.S. Ricklefs. 2004. "SULFATE RETENTION DURING WASTE GLASS MELTING." Solid State Technology: The International Magazine for Semiconductor Manufacturing. 155. PNWD-SA-6652. Kim D., and J.D. Vienna. 2004. "GLASS COMPOSITION-TCLP RESPONSE MODEL FOR WASTE GLASSES." In Ceramic Transactions, 155, 297-305. Westerville, Ohio:American Ceramic Society. PNNL-SA-40102. Vienna J.D. 2004. "Nuclear Waste Glasses." In Properties of Glass-Forming Melts, edited by LD Pye, A Montenero, I Joseph. 391-403. Boca Raton, Florida:CRC Press. PNWD-SA-6712. Vienna J.D., D. Kim, M.J. Schweiger, P.R. Hrma, J. Matyas, J.V. Crum, and D.E. Smith. 2004. "Preliminary Glass Development and Testing for In-Container Vitrification of Hanford Low-Activity Waste." In Ceramic Transactions, 155, 261-268. Westerville, Ohio:American Ceramic Society. PNNL-SA-40271. Vienna J.D., P.R. Hrma, W.C. Buchmiller, and J.S. Ricklefs. 2004. Preliminary Investigation of Sulfur Loading in Hanford LAW Glass. PNNL-14649. Richland, WA: Pacific Northwest National Laboratory. Hrma P.R., J.D. Vienna, and J.D. Yeager. 2003. "Waste Glass Corrosion: Some Open Questions." In Environmental Issues and Waste Management Technologies in the Ceramic and Nuclear Industries VIII; Proceedings. Ceramic Transactions, edited by SK Sundaram, DR Spearing, JD Vienna, 143, 245-252. Westerville, Ohio:American Ceramic Society. PNNL-SA-36494. Jiricka M., P.R. Hrma, and J.D. Vienna. 2003. "The Effect of Composition on Spinel Crystals Equilibrium in Low-Silica High-Level Waste Glasses." Journal of Non-crystalline Solids 319, no. 3:280-288. PNNL-SA-31774. Jiricka M., P.R. Hrma, and J.D. Vienna. 2003. "The Effect of Composition on Spinel Crystals Equilibrium in Low-Silica High-Level Waste Glasses." Journal of Non-crystalline Solids 319. PNNL-SA-38815. Kim D., and J.D. Vienna. 2003. Model for TCLP Releases from Waste Glasses. PNNL-14061 Rev. 1. Richland, WA: Pacific Northwest National Laboratory. Kim D., J.D. Vienna, P.R. Hrma, M.J. Schweiger, J. Matyas, J.V. Crum, and D.E. Smith, et al. 2003. Development and Testing of ICV Glasses for Hanford LAW. PNNL-14351. Richland, WA: Pacific Northwest National Laboratory. Kim D., W.C. Buchmiller, M.J. Schweiger, J.D. Vienna, D.E. Day, C.W. Kim, and D. Zhu, et al. 2003. Iron Phosphate Glass as an Alternative Waste-Form for Hanford LAW. PNNL-14251. Richland, WA: Pacific Northwest National Laboratory. Li H., P.R. Hrma, J.D. Vienna, M. Qian, Y. Su, and D.E. Smith. 2003. "Effects of Al2O3, B2O3, Na2O, and SiO2 on nepheline formation in borosilicate glasses: chemical and physical correlations." Journal of Non-crystalline Solids 331, no. 1-3:202-216. PNNL-SA-38437. Rapko B.M., and J.D. Vienna. 2003. "SELECTIVE LEACHING OF CHROMIUM FROM WASHED 241-S-110 HANFORD TANK SLUDGE." Separation Science and Technology 38, no. 12-13:3145-3173. PNNL-SA-35842. Vienna J.D., D. Kim, and P.R. Hrma. 2003. "Interim Models Developed to Predict Key Hanford Waste Glass Properties Using Composition." In Environmental Issues and Waste Management Technologies in the Ceramic and Nuclear Industries VIII: Proceedings of the symposium held at the 104th Annual Meeting of The American Ceramic Society. Ceramic Transactions, edited by SK Sundaram, DR Spearing and JD Vienna, 143, 151-158. Westerville, Ohio:American Ceramic Society. PNNL-SA-37574. Hrma P.R., and J.D. Vienna. 2002. "Relationship Between Liquidus Temperature and Solubility." In Environmental Issues and Waste Management Technologies in the Ceramic and Nuclear Industries VIII: Proceedings of the symposium held at the 104th Annual Meeting of The American Ceramic Society, Ceramic Transactions, edited by SK Sundaram, DR Spearing, JD Vienna, 143, 159-168. Westerville, Ohio:American Ceramic Society. PNNL-SA-36487. Hrma P.R., B.J. Riley, and J.D. Vienna. 2002. "Corrosion of Partially Crystallized Glasses." In Environmental Issues and Waste Management Technologies in the Ceramic and Nuclear Industries VIII: Proceedings of the symposium held at the 104th Annual Meeting of The American Ceramic Society, Ceramic Transactions, edited by SK Sundaram, DR Spearing, JD Vienna, 143, 291-300. Westerville, Ohio:American Ceramic Society. PNNL-SA-36493. Hrma P.R., P. Izak, J.D. Vienna, M. Thomas, and G.M. Irwin. 2002. "Partial Molar Liquidus Temperatures of Multivalent Elements in Multicomponent Borosilicate Glass." Physics and Chemistry of Glasses 43, no. 2:119-127. PNNL-SA-31776. Kim D., and J.D. Vienna. 2002. Model for TCLP Releases from Waste Glasses. PNNL-14061. Richland, WA: Pacific Northwest National Laboratory. Kim D., J.D. Vienna, P.R. Hrma, and N.J. Cassingham. 2002. "Phosphate Glasses for Vitrification of Waste with High Sulfur Content." In Environmental Issues and Waste Management Technologies in the Ceramic and Nuclear Industries VIII; Proceedings: Ceramic Transactions, edited by SK Sundaram, DR Dpearing, JD Vienna, 143, 337-346. Westerville, Ohio:American Ceramic Society. PNNL-SA-37491. Piepel G.F., S.K. Cooley, D.K. Peeler, J.D. Vienna, and T.B. Edwards. 2002. "Augmenting a Waste Glass Mixture Experiment Study with Additional Glass Components and Experimental Runs." Quality Engineering 15, no. 1:91-111. PNNL-SA-36766. Rapko B.M., and J.D. Vienna. 2002. Selective Leaching of Chromium from Hanford Tank Sludge 241-U-108. PNNL-14019. Richland, WA: Pacific Northwest National Laboratory. Rapko B.M., J.D. Vienna, S.I. Sinkov, J. Kim, and A.J. Cisar. 2002. Alkaline Leaching of Key, Non-Radioactive Components from Simulants and Hanford Tank Sludge 241-S-110: Results of FY01 Studies. PNNL-14018. Richland, WA: Pacific Northwest National Laboratory. Schulz R.L., T.H. Lorier, D.K. Peeler, K.G. Brown, I.A. Reamer, I.A. Reamer, and J.D. Vienna, et al. 2002. Hanford Immobilized LAW Product Acceptance: Tanks Focus Area Testing Data Package II. PNNL-13344. Richland, WA: Pacific Northwest National Laboratory. Vienna J.D., D. Kim, and D.K. Peeler. 2002. "GLASS FORMULATION FOR INEEL SODIUM BEARING WASTE." In Environmental Issues and Waste Management Technologies in the Ceramic and Nuclear Industries VIII: Proceedings of the symposium held at the 104th Annual Meeting of The American Ceramic Society. Ceramic Transactions, edited by SK Sundaram, DR Spearing and JD Vienna, 143, 169-176. Westerville, Ohio:American Ceramic Society. PNNL-SA-37496. Vienna J.D., D. Kim, and P.R. Hrma. 2002. Database and Interim Glass Property Models for Hanford HLW and LAW Glasses. PNNL-14060. Richland, WA: Pacific Northwest National Laboratory. Vienna J.D., W.C. Buchmiller, J.V. Crum, D.D. Graham, D. Kim, B.D. Macisaac, and M.J. Schweiger, et al. 2002. Glass Formulation Development for INEEL Sodium-Bearing Waste. PNNL-14050. Richland, WA: Pacific Northwest National Laboratory. Wilson B.K., P.R. Hrma, J. Alton, T.J. Plaisted, and J.D. Vienna. 2002. "The Effect of Composition on Spinel Equilibrium and Crystal Size in High-Level Waste Glass." Journal of Materials Science 37, no. 24:5327-5331. PNNL-SA-31778. Crum J.V., J.D. Vienna, D.K. Peeler, and I.A. Reamer. 2001. Formulation Efforts for Direct Vitrification of INEEL Blend Calcine Waste Simulate: Fiscal Year 2000. PNNL-13483. Richland, WA: Pacific Northwest National Laboratory. Darab J.G., D.D. Graham, B.D. Macisaac, R.L. Russell, H.D. Smith, J.D. Vienna, and D.K. Peeler. 2001. Sulfur Partitioning During Vitrification of INEEL Sodium Bearing Waste: Status Report. PNNL-13588. Richland, WA: Pacific Northwest National Laboratory. Hrma P.R., G.F. Piepel, J.D. Vienna, S.K. Cooley, D. Kim, and R.L. Russell. 2001. Database and Interim Glass Property Models for Hanford HLW Glasses. PNNL-13573. Richland, WA: Pacific Northwest National Laboratory. Jiricka A., J.D. Vienna, P.R. Hrma, and D.M. Strachan. 2001. "THE EFFECT OF EXPERIMENTAL CONDITIONS AND EVALUATION TECHNIQUES ON THE ALTERATION OF LOW ACTIVITY GLASSES BY VAPOR HYDRATION." Journal of Non-crystalline Solids 292, no. 1-3:25-43. PNNL-SA-34658. Kim D., and J.D. Vienna. 2001. "Influence of Glass Property Restrictions on Hanford HLW Glass Volume." In Environmental Issues and Waste Management Technologies in the Ceramic and Nuclear Industries VII, 132, 105-115. Westerville, Ohio:American Ceramic Society. PNNL-SA-35027. Vienna J.D., P.R. Hrma, A. Jiricka, D.E. Smith, T.H. Lorier, I.A. Reamer, and I.A. Reamer, et al. 2001. Hanford Immobilized LAW Product Acceptance Testing: Tanks Focus Area Results. PNNL-13744. Richland, WA: Pacific Northwest National Laboratory. Vienna J.D., P.R. Hrma, J.V. Crum, and M. Mika. 2001. "LIQUIDUS TEMPERATURE-COMPOSITION MODEL FOR MULTI-COMPONENT GLASSES IN THE Fe, Cr, Ni, AND Mn SPINEL PRIMARY PHASE FIELD." Journal of Non-crystalline Solids 292, no. 1-3:1-24. PNNL-SA-34269. Hrma P.R., and J.D. Vienna. 2000. "Balancing Cost and Risk by Optimizing the High-Level Waste and Low-Activity Waste Vitrification." In WM 2K proceedings Feb. 27-Mar 2, 2000 Tucson Arizona. Tucson, Arizona:University of Arizona. PNNL-SA-32749. Hrma P.R., J.D. Vienna, J.V. Crum, G.F. Piepel, and M. Mika. 2000. "Liquidus Temperature of High-Level Waste Borosilicate Glasses with Spinel Primary Phase." In Scientific Basis for Nuclear Waste Management XXIII, Materials Research Society Symposium Proceedings, edited by Robert W. Smith; David W. Shoesmith, 608, 671-676. Warrendale, Pennsylvania:Materials Research Society. PNNL-SA-32484. Izak P., P.R. Hrma, B.K. Wilson, and J.D. Vienna. 2000. "The Effects of Oxygen Partial Pressure on Liquidus Temperature of a High-Level Waste Glass with Spinel as the Primary Phase." In Environmental issues and waste management technologies in the ceramic and nuclear industries VI : proceedings of the Waste Management Science and Technology in the Ceramic and Nuclear Industries and Science and Technology in Addressing Environmental Issues in the Ceramic Industry symposia: Ceramic Transactions, edited by DR Spearing, GL Smith and RL Putnam, 119, 309-316. Westerville, Ohio:American Ceramic Society. PNNL-SA-32973. Jiricka A., J.D. Vienna, B.R. Allen, B.M. Jorgensen, and D.E. Smith. 2000. "VHT Testing of Hanford LAW Glasses: Preliminary Results." In Waste Management Science and Technology in the Ceramic and Nuclear Industries and Science and Technology in Addressing Environmental Issues in the Ceramic Industry; Environmental Issues and Waste Management Technologies in the Ceramic and Nuclear Industries VI. Ceramic Transactions, edited by DR Spearing, GL Smith and RL Putnam, 119, 535-542. Westerville, Ohio:American Ceramic Society. PNNL-SA-33004. Li H., L. Li, J.D. Vienna, M. Qian, Z. Wang, J.G. Darab, and D.K. Peeler. 2000. "Neodymium (III) in Alumino-Borosilicate Glasses." Journal of Non-crystalline Solids 278, no. 1-3:35-57. PNNL-SA-33159. Li H., P.R. Hrma, and J.D. Vienna. 2000. "Sulfate Retention and Segregation in Simulated Radioactive Waste Borosilicate Glasses." In Environmental Issues and Waste Management Technologies in the Ceramic and Nuclear Industries VI: Ceramic Transactions, edited by DR Spearing, 119, 237-246. Westerville, Ohio:American Ceramic Society. PNNL-SA-32406. Peeler D.K., J.E. Marra, I.A. Reamer, J.D. Vienna, and H. Li. 2000. "Development of the Am/Cm Batch Vitrification Process." In Environmental Issues and Waste Management Technologies in the Ceramic and Nuclear Industries V, Ceramic Transactions, 107, 397-406. Westerville, Ohio:American Ceramic Society. PNNL-SA-31739. Peeler D.K., T.B. Edwards, I.A. Reamer, J.D. Vienna, D.E. Smith, M.J. Schweiger, and B.J. Riley, et al. 2000. "Composition/Property Relationships for the Phase I Am/Cm Glass Variability Study." In Environmental Issues and Waste Management Technologies in the Ceramic and Nuclear Industries V, Americam Ceramic Society Conf., Ceramic Transactions, 107, 427-439. Westerville, Ohio:Americam Ceramic Society. PNWD-SA-4651. Strachan D.M., R.D. Scheele, W.C. Buchmiller, J.D. Vienna, R.L. Sell, and R.J. Elovich. 2000. Preparation and Characterization of 238Pu-Ceramics for Radiation Damage Experiments. PNNL-13251. Richland, WA: Pacific Northwest National Laboratory. Vienna J.D., A. Jiricka, B.P. McGrail, B.M. Jorgensen, D.E. Smith, B.R. Allen, and J.C. Marra, et al. 2000. Hanford Immobilized LAW Product Acceptance: Initial Tanks Focus Area Testing Data Package. PNNL-13101. Richland, WA: Pacific Northwest National Laboratory. Vienna J.D., T.J. Plaisted, R.L. Plaisted, J.V. Crum, D.K. Peeler, and I.A. Reamer. 2000. "Glass Formulation for Idaho National Engineering and Environmental Laboratory Zirconia High-Activity Waste." In Environmental Issues and Waste Mangement Technologies in the Ceramic and Nuclear Industries V, Ceramic Transactions, 107, 451-459. Westerville, Ohio:American Ceramic Society. PNNL-SA-31726. Feng X., H. Li, L.L. Davis, L. Li, J.G. Darab, M.J. Schweiger, and J.D. Vienna, et al. 1999. "Distribution and Solubility of Radionuclides in Waste Forms for Disposition of Plutonium and Spent Nuclear Fuels: Preliminary Results." In Environmental Issues and Waste Management Technologies in the Ceramic and Nuclear Industries IV,Ceramic Transactions, edited by James C. Marra, Gregory T. Chandler, 93, 409-419. Westerville, Ohio:American Ceramic Society. PNNL-SA-33027-A. Hrma P.R., J.D. Vienna, M. Mika, J.V. Crum, and G.F. Piepel. 1999. Liquidus Temperature Data for DWPF Glass. PNNL-11790. Richland, WA: Pacific Northwest National Laboratory. Li H., J.G. Darab, M.J. Schweiger, J.D. Vienna, and B.C. Bunker. 1999. "Distribution and Solubility of Radionuclides in Waste Forms for Disposition of Plutonium and Spent Nuclear Fuels: Preliminary Results." Journal of the American Ceramic Society IV, no. 93:35-42. PNNL-SA-30100. Li H., Y. Su, J.D. Vienna, and P.R. Hrma. 1999. "Raman Spectroscopic Study - Effects of B2O3, Na2O, and SiO2 on Nepheline (NaAlSiO4) Crystallization in Simulated High-Level Waste Glasses." In Environmental Issues and Waste Management Technologies in the Ceramic and Nuclear Industries V, Ceramic Transactions, edited by GT Chandler and X Feng, 107, 469-478. Westerville, Ohio:American Ceramic Society. PNNL-SA-31142. Plaisted T.J., P.R. Hrma, J.D. Vienna, and A. Jiricka. 1999. "Liquidus Temperature and Primary Crystallization Phases in High-Zirconia High-Level Waste Borosilicate Glasses." In Scientific Basis for Nuclear Waste Management XXIII. (Materials Research Society Symposium Proceedings Vol.608), 23, 709-714. Warrendale, Pennsylvania:Materials Research Society. PNNL-SA-32486. Riley B.J., J.D. Vienna, M.J. Schweiger, D.K. Peeler, and I.A. Reamer. 1999. "Liquidus Temperature Of Rare Earth-Aluminoborosilicate Glasses For Treatment Of Americium And Curium." In Scientific Basis for Nuclear Waste Management XXIII. (Materials Research Society Symposium Proceedings vol. 608), 23, 677-682. Warrendale, Pennsylvania:Materials Research Society. PNNL-SA-32376. Ebbinghaus B., R.A. Vankonynenburg, H.P. Shaw, E.R. Vance, M.R. Stewart, J. Condgon, and T. Rankin, et al. 1998. "Phase Relationships in Pu and U Loaded Ceramic Immobilization Products." In Proceedings, Third Topical Meeting on DOE Spent Nuclear Fuel and Fissile Materials Management, 2, 431. Lagrange, Illinois:American Nuclear Society. PNNL-SA-31740. Stein W., T. Kan, V. Sahei, J. Marra, and J.D. Vienna. 1998. "Simulation and Testing of Pouring High Level Waste Glass into Canisters Containing Immobilized Plutonium Forms." In Proceedings of the Third Topical Meeting on DOE Spent Nuclear Fuel and Fissile Materials Management, September 8-11, Charleston, SC, 385-387. La Grange Park, Illinois:American Nuclear Society. PNNL-SA-31741.